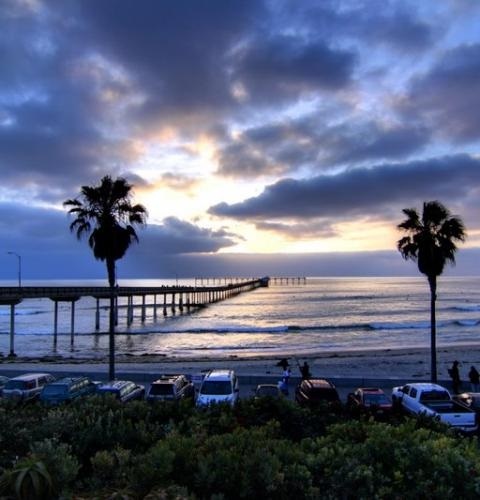 Welcome to Ocean Beach, a small beach community a few miles northwest of downtown San Diego. OB is about as unpretentious as San Diego beach living gets. The sunny days are punctuated by the occasional jet roaring overhead, the barking of happy dogs partying at Dog Beach and waves pounding the coastline of Sunset Cliffs. In many ways, it is a quiet place that time forgot. It is one of the few places where shops are locally owned. There is a lot to be said for this funky little beach town with odd collection of antique stores, bars, Deadheads, restaurants, musicians, activists, bickers, artists and beach enthusiasts. Population is approximately 13,172. Average income is $62,529. Average detached house is $1,728,243.